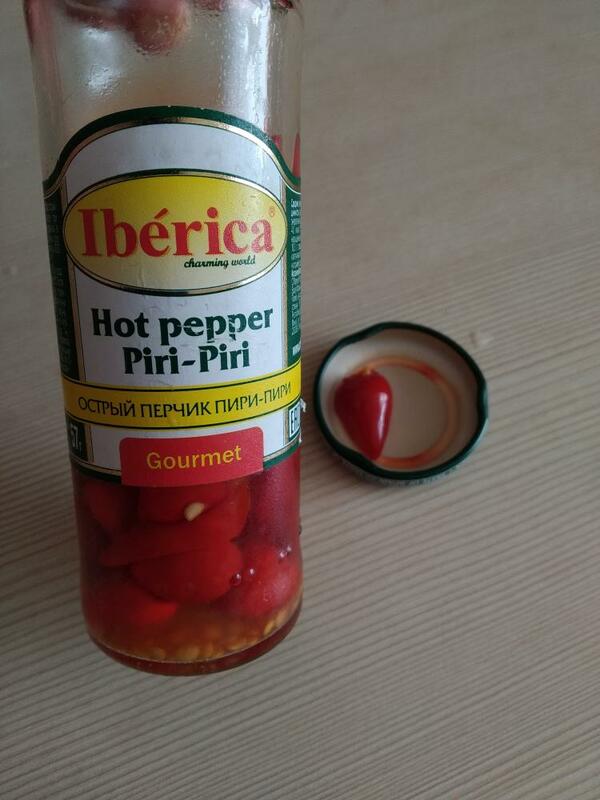 Bought a little thing of these peri-peri pods soaked in water, vinegar and salt. Made in Spain. Tastes just awesome after me adding more vinegar there 落 Has moderate heat and lots of seeds.